Renault SA has alerted French prosecutors to payments made to a Renault-Nissan business partner in Oman under former chief executive Carlos Ghosn, three sources told Reuters. Renault has established it paid out millions of euros described as dealer incentives to Omani distributor Suhail Bahwan Automobiles (SBA) over five years from around 2011, said the sources, who were briefed on the findings. Nissan previously found that its own regional subsidiary made questionable payments of more than $30m to SBA. Ghosn is awaiting trial in Japan on charges that he failed to report $82m in Nissan pay he had arranged to receive after retirement. He has also been indicted for transferring personal investment losses to Nissan and steering $14.7m in company funds to Saudi businessman Khaled Al Juffali. 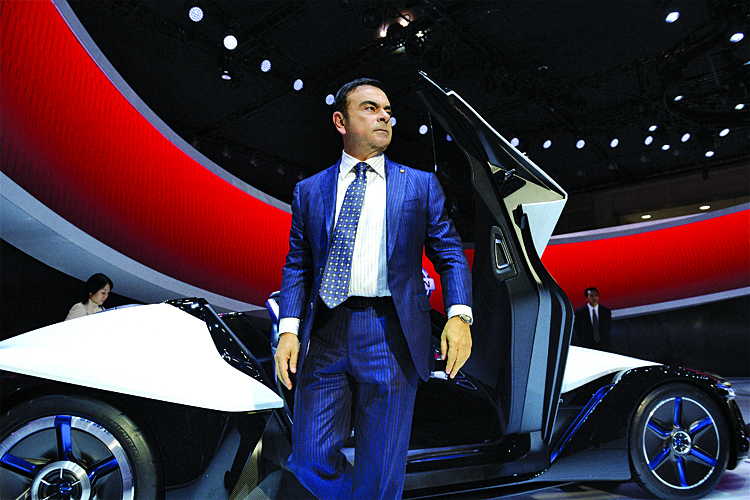 Renault initially sought to avoid being drawn into the investigation initiated by Nissan – which ousted Ghosn as chairman days after his arrest – and for weeks avoided sharing the Japanese partner’s findings with its own board. The joint audit of the Renault-Nissan BV alliance management organisation has tallied EUR1.2m ($1.34m) in Lebanese donations and other spending of questionable benefit to the carmakers, among preliminary results presented to Renault directors this week, two people familiar with the matter said. The audit is examining the use of four corporate jets financed by the Dutch-registered subsidiary and payments of around EUR170,000 annually to Carlos Abou Jaoude, Ghosn’s personal lawyer in Lebanon, over six years, the sources said. There is no suggestion of any wrongdoing by the lawyer. In an earlier complaint filed with French prosecutors in February, Renault turned over evidence that the EUR50,000-rental cost of Ghosn’s Chateau de Versailles wedding in 2016 had been improperly charged to the company. From there it flowed on to privately held entities including a British Virgin Islands-registered vehicle that paid for a $15m yacht, they said.